SBID is constantly looking for ways to make life better for our members. From its inception, SBID has been dedicated to increasing the depth of knowledge and professionalism in our industry. This is why we believe Continuing Professional Development (CPD) to be so important. As professionals we all need to stay up to date with developments within our industry; we need to be informed about new legislation that affects our work and new products and innovations that will benefit our clients. SBID’s CPD programme is a development which puts that process of continued learning at the heart of the Society. It has other benefits as well. Our CPD providers come from among our members. Becoming an accredited SBID CPD provider gives them a valuable opportunity to communicate directly with key people in their sector of the industry. We set out to create a well designed publication that was beautiful to look at, that celebrated the work of our members and reflected what is best in new design. Technology, the internet and increased volumes of air travel have helped transform the world into a global village. 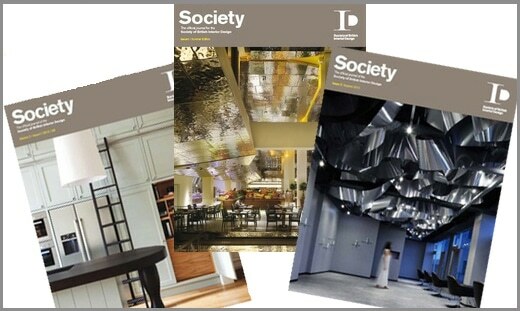 For the British interior industry this has brought new challenges as well as new opportunities. It means there is now no reason why an interior firm in Birmingham can’t compete for a major design project in Hong Kong. Equally it means the competition for a project closer to home might well attract bids from Sydney to Singapore. The annual SBID International Design Awards is about celebrating this new global community. I am delighted that last year the SBID Awards saw entries from China, USA, Dubai, Canada, Ukraine and Japan as well as the UK. Good design knows no borders. Our businesses shouldn’t either. And of course at SBID we believe membership should come with its additional perks. That is why we have set out to snag exclusive agreements within the insurance, business finance, asset management and travel sectors amongst others for our Members. Make sure you get the full benefit of being a member. Go to www.sbid.org and log in.